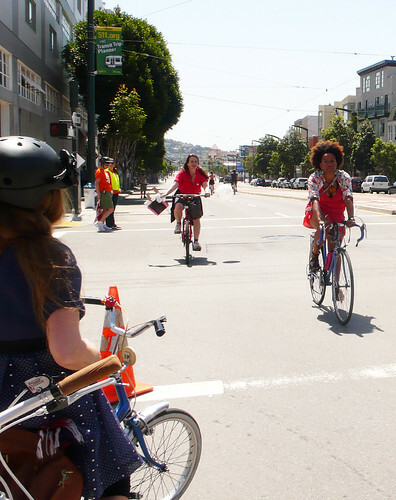 The ladies were lookin' good at the most recent Sunday Streets in Bayview. 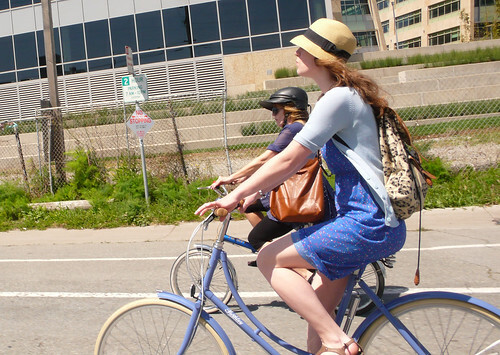 It's blue on blue for Caz of London Cycle Chic and Shelly of Riding Pretty. Pushing the chic envelope forward while pushing her son's bike. And blonde is always chic. 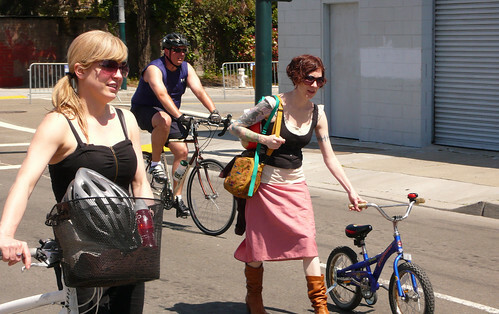 Spring has brought skirts and dresses and bare legs, as well the new line of PUBLIC Bikes, the Orange Mixte seen here. 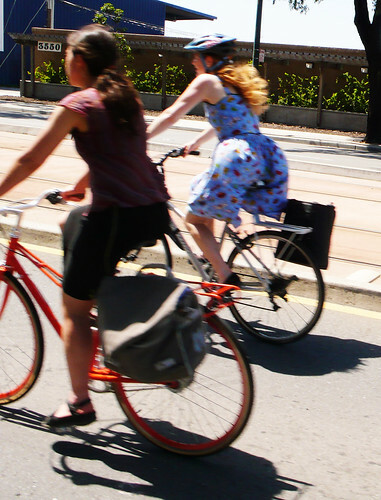 No need for helmets or hats when you're leisurely cruising in the sunshine. Just let your hair go free and ride on! @Kay - why not ride? what are your reasons? KT goes to the Symphony! Who you callin' fool? Fool.